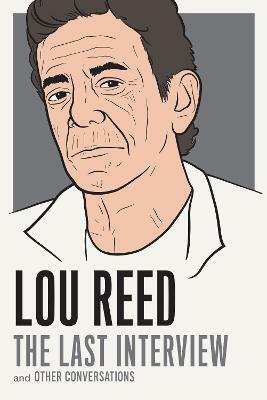 In this collection of powerful interviews given over thirty years--including his final interview--Lou Reed oscillates between losing patience with his interviewers (he was famous for walking out on them) and sharing profound observations on the human experience, especially as he reflects on poetry and novels, the joy of live performances, and the power of sound. In conversation with legendary rock critics and authors he respected, Reed's interviews are as pithy and brilliant as the man himself. "A series that offers the thoughtful, provocative and impish responses of...great writers." "He was our generation's New York poet, championing its misfits as Whitman had championed its workingman and Lorca its persecuted." --Patti Smith "He was a master." --David Bowie "Thank God for those, like Lou, who move within their own laws, otherwise imagine how dull the world would be." Lou Reed was born in Brooklyn in 1942, and grew up on Long Island. He studied at Syracuse University with the poet Delmore Schwartz, and in 1964, he founded The Velvet Underground with John Cale. In 1967, the band released its debut album, The Velvet Underground & Nico, probably the most acclaimed album in rock 'n' roll history. (It was hailed by Rolling Stone as "the most prophetic rock album ever made.") After the band's breakup in 1973, Reed went on to have an extraordinarily successful solo career, releasing such beloved albums as Transformer, Berlin, and New York. Over his forty years as a solo artist, Reed collaborated with a huge number of artists and musicians and produced a number of major productions, including a series of concerts based on his album Berlin, staged at St. Ann's Warehouse, in Brooklyn, in 2006--a collaboration with the artist Julian Schnabel. He died of liver disease in 2013.